One study conducted by Dawson Church, PhD et. al. examined the effect of EFT on PTSD and psychological distress symptoms in veterans receiving mental health services. They published the following conclusion in the Journal of Nervous and Mental Disease. There is a plethora of resources when it comes to tapping. 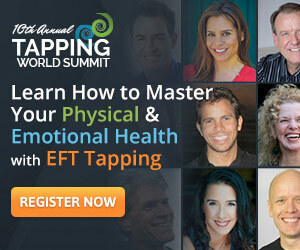 Currently, the Tapping World Summit is being aired online for free. If you want to learn how to jumpstart your healing and eliminate destructive emotions and physical pain from your body, click here to sign up.